LeoVegas Casino has recently added another new title from a smaller developer Pragmatic Play titled Gold Train, they were recently awarded a UKGC license in April 2017 which means players from the UK now have access to the Pragmatic Play range of slots which can be tested on their website for free. 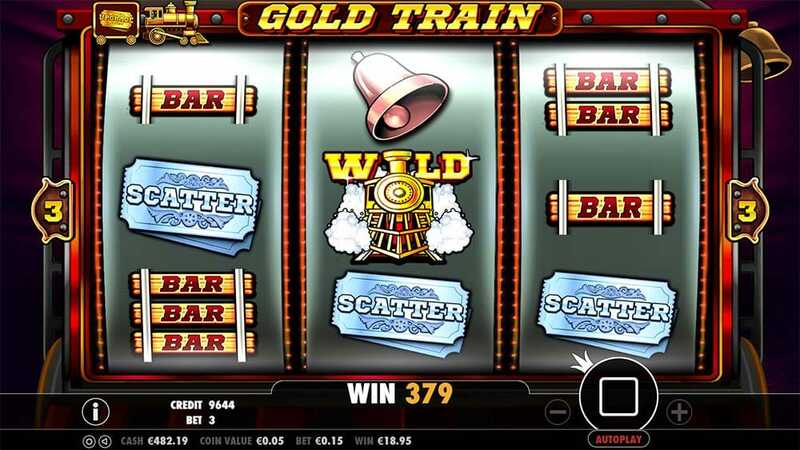 Gold Train is a classic fruit machine style slot from Pragmatic Play with uses just 3 reels and 3 paylines which are the 3 rows on the reels, with a touch of modern functionality they have incorporated a bonus round into this slot although this is also very simplistic. If you are a fan of classic slot machines then be sure to also check out Ivanhoe from ELK which is designed in a very similar fashion and in our opinion a better release. 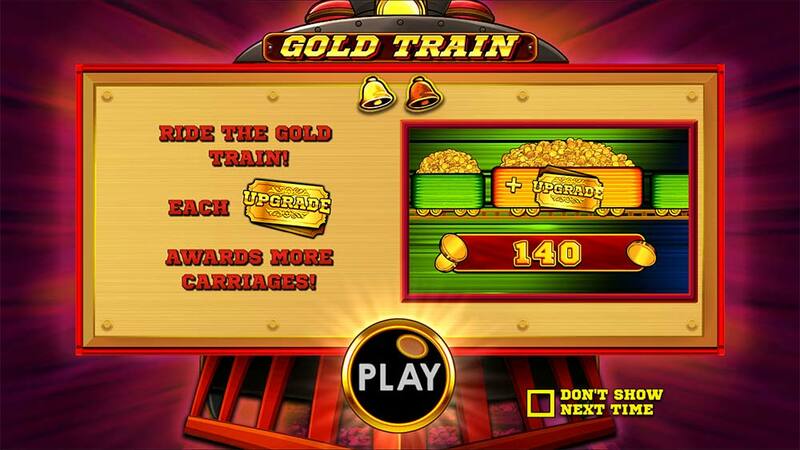 The main bonus round on Gold Train is triggered by landing 3 of the special Scatter symbols in view triggering the Gold Train bonus round, during normal play and in the bonus round you can also collect extra special Upgrade Symbols, which extend the length of the train carriages during the bonus round. 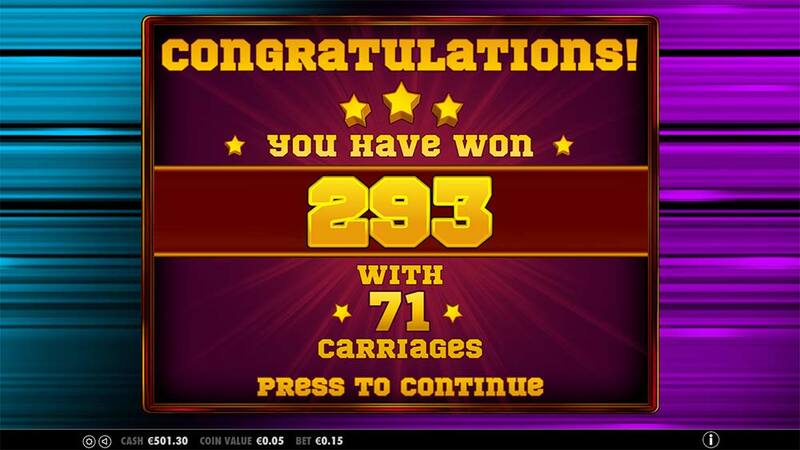 As noted earlier the bonus itself is very simplistic, a train passes by and awards coin rewards from each of the carriages, the longer the train the more random prizes are awarded and the more chances of finding an Upgrade Carriage which adds a random amount of extra carriages to the bonus. With a skip button to bypass the bonus round playing out gives you an idea of how simplistic this is. 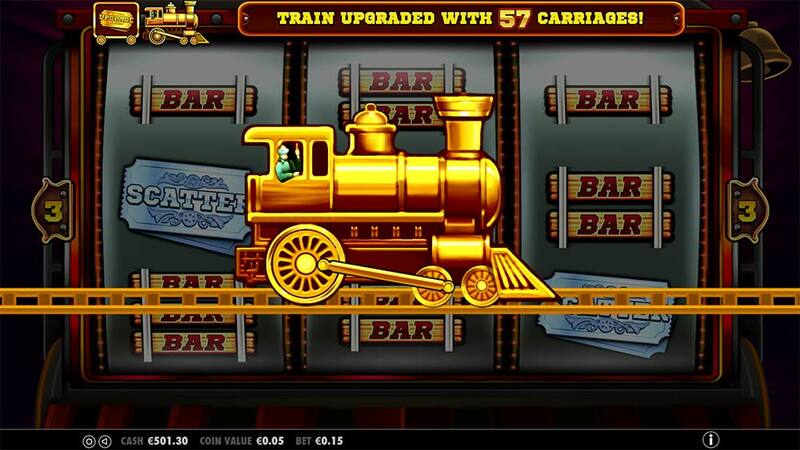 Gold Train slot is a fairly weak release from Pragmatic Play, there is little on offer in this extremely simplistic slot machine, the one redeeming feature is the super high Return To Player (RTP) at 97.01 which is certainly very high indeed and makes this a superb candidate for a bonus wagering slot. There are however many much better slots from Pragmatic Play so certainly check through their back catalogue of games, titles such as Hot Safari, 3 Kingdoms, Jurassic Giants and Queen of Gold are all definitely worth a look.